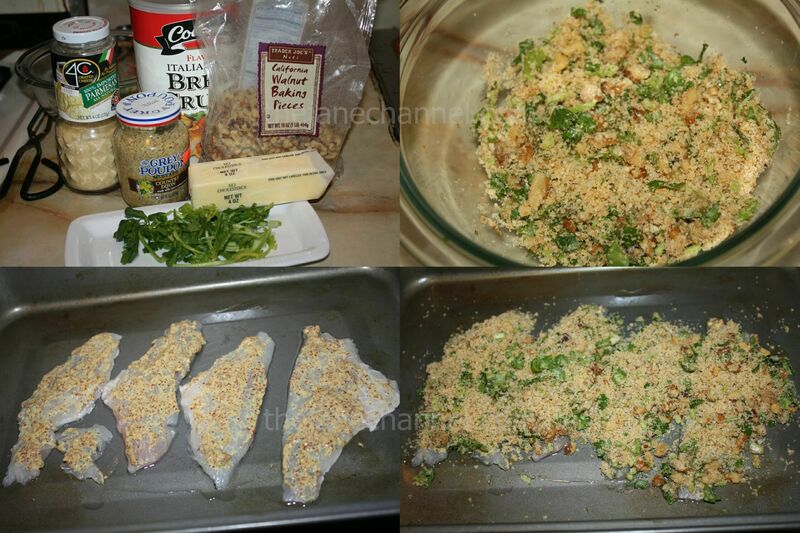 This is one of the tastiest and easiest fish recipe I’ve ever enjoyed. 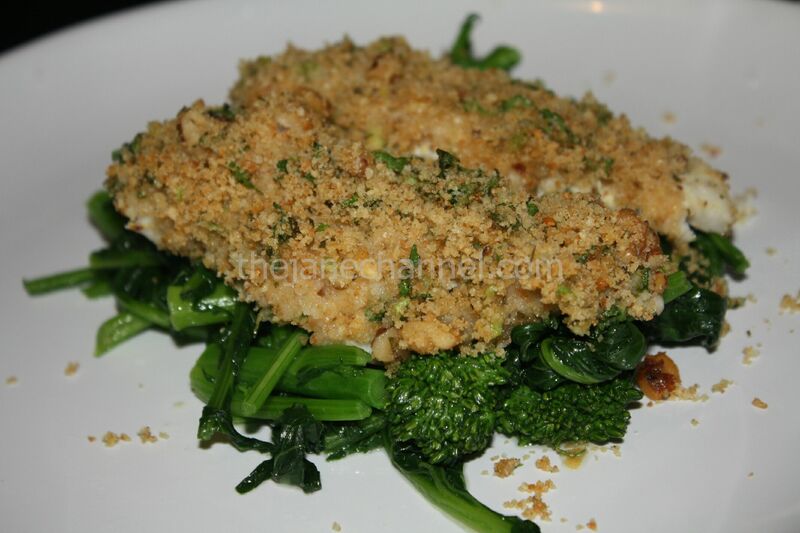 I love the flavor of the walnut-breadcrumb crust. You can replace sea bass with other white fish and use different kind of nuts to adapt to your own preferences and what you have at hand. In a bowl, mix breadcrumbs, walnuts, cheese and cilantro. Apply 1 teaspoon of oil on a non-stick pan and place fillets on top. Spread dijon mustard thinly onto fillets. Then press crumb mixture on top. Drizzle 1 teaspoon olive oil over the fillets. Bake at 350 degree for 15 minutes or until cooked through. Drizzle a few drops of lemon juice on each fillet.